This week is the opening of the Joyce Elaine Grant Exhibition at Texas Woman's University. 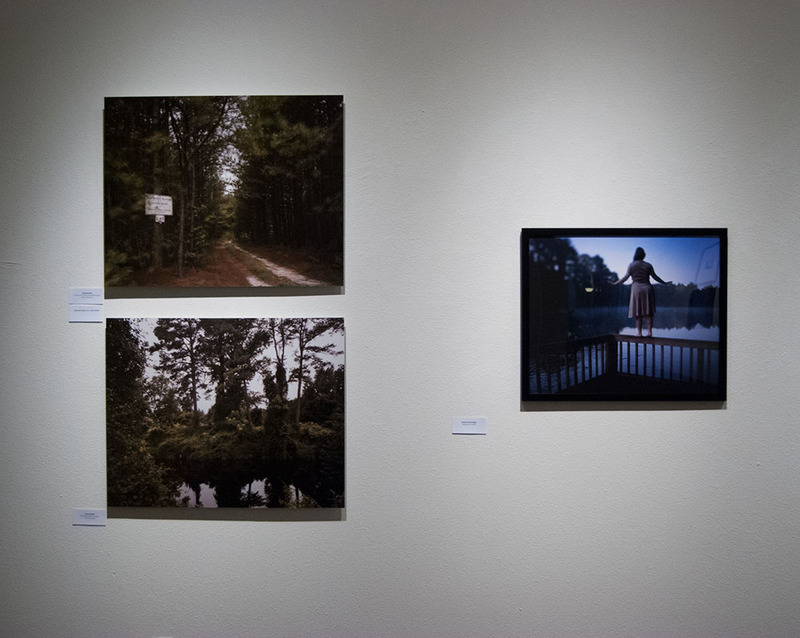 This year, the exhibition was juried by Sarah Kennel (Associate Curator, Department of Photographs, National Gallery of Art). I asked my colleague and friend, Kalee Appleton to interview Sarah about jurying the show and photography's place in museums. Sarah Kennel is associate curator in the department of photographs at the National Gallery of Art, Washington. She holds a Ph.D in art history from the University of California, Berkeley, completing her dissertation on the relationship between dance and the visual arts in early 20th-century Paris. After a Mary Davis Predoctoral Fellowship at the Center for Advanced Study in the Visual Arts from 1999-2001, Kennel was a contributor for The Art of Romare Bearden (2003) and then joined the department of photographs where she has contributed to numerous shows, including André Kertész (2005), Irving Penn: The Platinum Prints (2005), and The Art of the American Snapshot (2007). She has also curated or co-curated Paris in Transition: Photographs from the National Gallery of Art (2006); In the Forest of Fontainebleau: Painters and Photographers from Corot to Monet (2008); In the Darkoom: Photographic Processes before the Digital Age (2009), and The Serial Portrait: Photography and Identity in the Last One Hundred Years (2012). Kennel is currently working on the exhibition and catalogue for Charles Marville: Photographer of Paris. She has taught classes in the history of art at the University of California, Berkeley, Princeton University and is currently an adjunct professor at George Washington University. 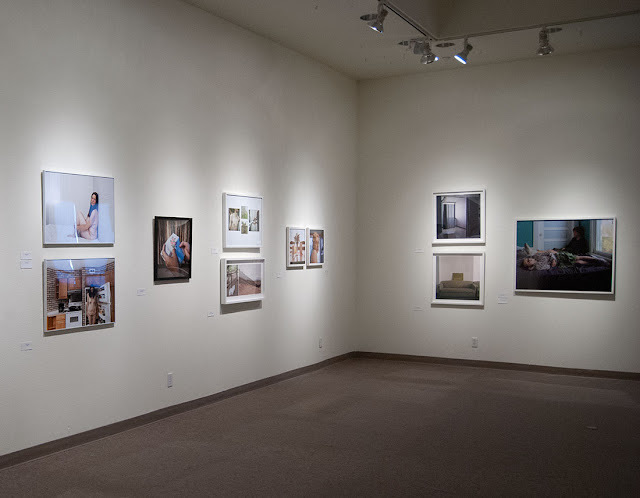 Kalee Appleton: What drew you specifically to studying and curating photography exhibitions? Sarah Kennel: I actually fell into it, but it was a lucky fall! I was finishing my PHD at UC Berkeley (focused on the nexus of dance and modernism in early 20th century Paris) and was vaguely heading toward academe. I landed a pre-doctoral fellowship at the National Gallery, looked around at what the curators were doing and decided that I would love to learn from them in any way I could. One thing lead to another and after some internships, I started as a research assistant in the photography department, working on a show about André Kertész, which was an amazing and compelling introduction to photography and how it related to the broader history of visual culture. I knew nothing about the medium and probably made huge rookie mistakes for years, but learning on the job is really the best way to learn -- its sink or swim. Curating is exciting because it combines the research and intellectual pleasures of academe, the public engagement of teaching, and the collaborative, if often crazed, process of something akin to a putting on broadway show. Plus, I still feel a thrill when I have the chance to handle art, turn it over, look at it, ask questions of the artist, think about how to display it and attempt to find the right way to communicate to others why I think a particular work is worth looking at and thinking about. KA: In the past the art world has been predominately male, have you observed a change in the role of women in museum practice and the acknowledgment of female artist? SK: Women are more and more visible as artists, curators, writers and even museum directors, but I don't think the playing field is totally even yet, particularly when it comes to the economics of art -- caucasian males still dominate at auctions, in high profile galleries and on the walls of major museums. Looking at the shifts in practice and the trends in contemporary art, however, I think it will be soon be a tipping point for women and artists of color -- then the Guerrilla Girls can retire. KA: Painting has maintained its notoriety throughout history, how do you see photography evolving in today's museum collections? SK: I think we are long past the point of arguing over whether photography is an art form, but in more traditional museums, it often still occupies a stepchild status, as resources and attention are showered on blockbuster exhibitions that usually focus on painting. But the widespread popularity of photography among audiences and the total integration of photography into contemporary art is rapidly changing this situation. In fact, one issue institutions are facing now is that photography, by virtue of its full acceptance as an absolutely pivotal practice for the history of modern and for contemporary art, is quickly becoming too expensive for museums to acquire. We are in the age of the three million dollar photograph! 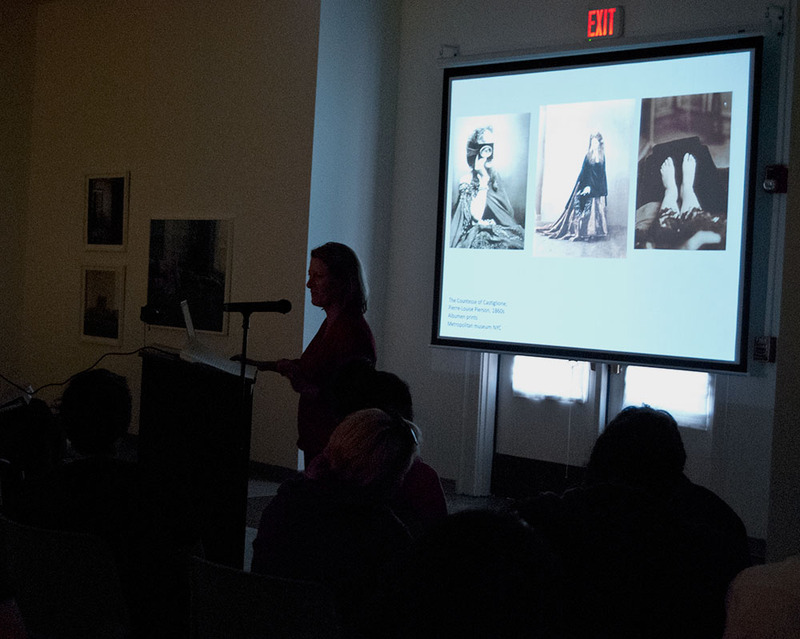 Sarah Kennel's Lecture "The Serial Portrait: Photography and Identity in the Last 100 Years"
KA: You were recently a juror for the Joyce Elaine Grant Exhibition, when contemplating the entries, what do you consider about each photograph? What is your process? How is this process different or similar to how you curate an exhibition at the National Gallery? SK: Selecting works for the JEG exhibition was both easy and difficult -- easy because there were many fascinating, technically excellent and compelling photographs, and difficult because I had to choose amongst them. My process was idiosyncratic and deeply personal. I review all the submissions first, without making notes, simply to get a sense of the whole. Then I start looking carefully, and whittle down slowly, making painful choices, often changing my mind a few times before settling on a group. I select work that makes me think, and look closely and want to know more, and that reveals an accomplished hand and original mind, but there are surely unconscious factors and preferences at work too. For example, having just put up a show on serial portraiture, I especially responded to portraiture projects. Also, for this exhibition, I often included more than one work by an artist, even though that further limited the number of artists I could include. While it can be fun to choose a lot of great single pictures, I think it is interesting to try to get at what a photographer is reaching for across a larger body of work. 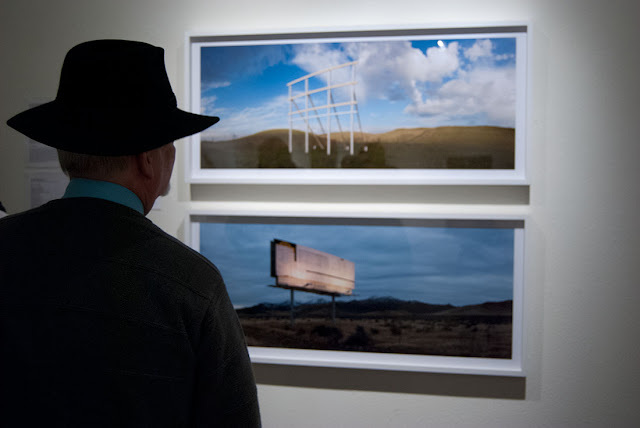 I make similar choices in exhibitions I curate at the National Gallery but there are two main differences: first, those exhibitions usually begin with a specific idea or photographer, and I know much more about the images that I choose, whereas here I really was responding to the works presented to me. Secondly, I always study the photographs in person before selecting them for exhibition at the National Gallery, which entails a lot of travel and good note-taking. Choosing via digital image obviously has a convenience factor, but it not a perfect representation of an artist's work. Some work just doesn't translate well onto a screen and I'm still a big believer in the communicative potential of the object itself. I never thought of curating from the angle that she described it but you do get to explore so much more when you handle such large volumes of work.